Florida experienced seven hurricanes in the years 2004 and 2005— and none since then. This has implications for the premium charged by primary insurers and Bermuda-based reinsurers, and for risk models, said Dr. Mark Guishard, Program Manager of RPI2.0. Have storm patterns shifted recently, toward a propensity for more or less landfalling storms? This will be discussed by scientists and industry experts attending this month’s workshop in London on June 16th and 17th, immediately following an International Summit on Hurricanes and Climate Change in Crete on June 9-14. Dr. Guishard will present some findings by BIOS’ glider observations of Hurricane Gonzalo at the Summit. The glider data, collected by BIOS colleague Ruth Curry during the storm, contributes to the scientific understanding of heat and energy transfer between the atmosphere and ocean in hurricanes. He will also discuss the variability of landfalling hurricanes at the RPI2.0 workshop. He will be joined by other experts in the field, including Dr. Kerry Emanuel of MIT, Dr. Bob Hart of Florida State, and industry scientists from RMS, AIR-Worldwide, Aspen Re and XL Catlin, and other Members of RPI2.0. 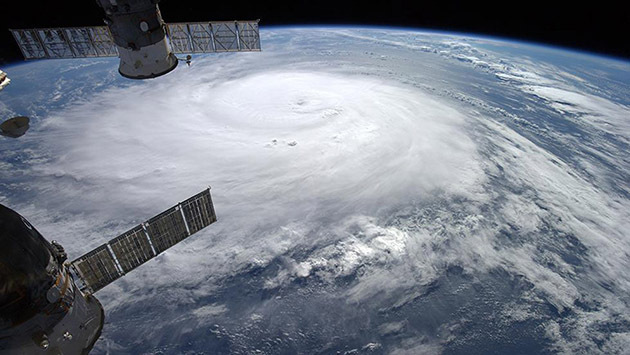 This Members’-only event is expected to yield peer-reviewed research, which will improve the understanding of the variability of hurricane hazards. The Bermuda Institute of Ocean Sciences is an independent U.S. not-for-profit marine research and educational organization with 501(c)(3) status and a Bermuda Registered Charity (#116). It was founded in 1903 as the Bermuda Biological Station by scientists from Harvard and New York University to take advantage of Bermuda’s ideal location for deep-ocean and coral reef research and education.